A family oriented individual, skilled dentist, active youth leader, and community volunteer. Dr. Thomas Sims makes the dental experience a personal one. His 25+ years of dental experience and continued education in the dental field ensure you will receive painless, top quality care. He strives on keeping up with the latest technology and bringing up-to-date equipment into his beautiful dental practice. Dr. Sims is a proud member of the American Academy of Cranial and Facial Pain, American Academy of Cosmetic Dentistry and has successfully completed education in Motor Nerve Reflex testing, Dental Sleep Medicine and Temporal Mandibular Disorders. In his practice he provides dental treatment including crown and bridge, composite fillings, implant dentistry, full mouth rehab, treatment of craniofacial pain, tempomandibular disorders, sleep disordered breathing and obstructive sleep apnea. Dr. Sims might be a familiar face to some as he is a third generation Arizonan. He graduated from Saguaro High School and continued his education at Arizona State University. Dr. Sims then spent two years in South Africa volunteering for his church. 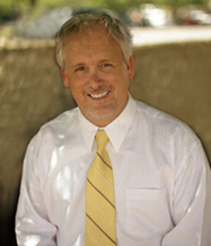 Upon returning, he relocated to California and attended dental school at Loma Linda University. Dr. Sims is now calling the valley home, to be near his family and give care to the community. Outside the dental office Dr. Sims enjoys spending time with his wife, son and daughter and her family. He shares dedication to the community by volunteering his time to provide free dental work for under privileged children. In his remaining time Dr. Sims finds relaxation boating on the lakes around the valley. Dr. Sims is truly an asset to the community.